Religion or 12 step Programs or Both? The Stories in Who’s Your Higher Power? Finding a God of Your Own Understanding, Dawn V. Obrecht, M.D. Richerpressllc, due out July 2013 include some from addicts who have returned to or discovered and embraced a traditional religion, usually Christianity or Judaism. Some of them found their way out of addiction by becoming Christian; others, like me, have had a longer and more circuitous route. Some addicts have found their initial recovery from specifically Christian-based recovery programs. Men and women raised attending synagogue or church sometimes find they are able to incorporate old religious training with new recovery concepts. Others come to sobriety without having had previous religious or spiritual input at all. While tough to say which allows more rapid growth and more ease in finding a relationship with a Higher Power, a previous God concept or the absence of one, we see both groups become able to follow the instructions to work hard to “Get a God”. This slang phrase is startling to those who do not initially understand that what we mean is to work on a concept of and relationship with God. Twelve step programs do not urge anyone to convert to Christianity, Judaism, or any other belief or religion, but to become a seeker of God to support and sustain recovery. Based on my own experience and on those I have seen over many years, I trust that if we seek, we will find, sometimes rapidly, often more slowly. If God is out there, He will respond to our search. Since I know He is out there and have found He can be with each of us, I urge you to pursue Him…in your own way…on your own journey. Yes, Jews can “catch” addiction! Some of the stories to be found in this new book will illustrate this. Though not embracing her Judaism, one addict draws upon some parts of her heritage to find a strong relationship with her Higher Power. She has been through more than most can imagine and used her recovery to thrive, never rejecting her Jewish legacy, but building on it with the spiritual concepts she found in recovery. Some men in recovery very much identify with being Jewish, but also find that for them, God is the God they found in AA. 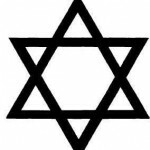 Finding that their religion and their recovery enhance each other, some of my other Jewish friends in recovery have returned to their roots and embraced their Judaism. 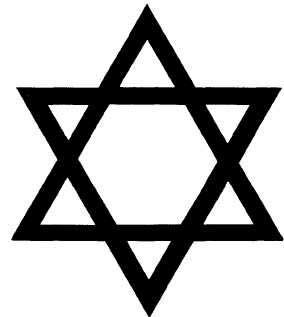 One has studied to become a Rabbi, while others have become very active in their synagogues. Perhaps the best start for some of us is to embrace an oft quoted recovery saying, “There is a God and it’s not me”! This entry was posted in 12-step Program, Recovery, Spiritual and tagged judaism, recovery, spiritual by DocDawn. Bookmark the permalink.